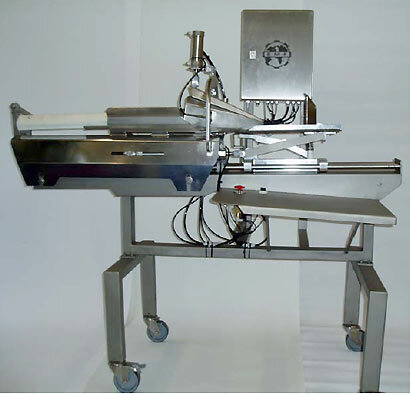 Our Semi-Automatic Bagging/Packing machines are part of a complete range for effective plant design. 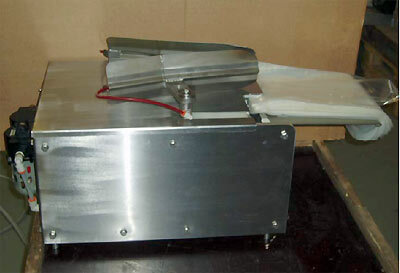 Entirely made of stainless steel, the machine has been designed for quick and effective packing of poultry into plastic bags. Carcasses are hocked and then pushed through the funnel into plastic bags, which are fixed to the outlet side. By means of special air guides, the bags are automatically blown up. Easy adjustment of blowing time, bag tray adjustment and pressure time can be made by 3 control knobs inside the control board. Special bags allow the use of a bag holder which makes operation a much more easy and effective process. Optionally, the packing machine can be equipped with a tape sealer or a bag clipper which is connected then directly to the control board. Also, it is possible to integrate a foot operated switch for process release.